The Chloe necklaces in 5 colors, the Established pendant and the Signature bar from katefortyeightgma.com were featured this morning on Good Morning America deals and steals. The Chloe pendant (pictured above) is an enamel disc set in silver stainless steel. 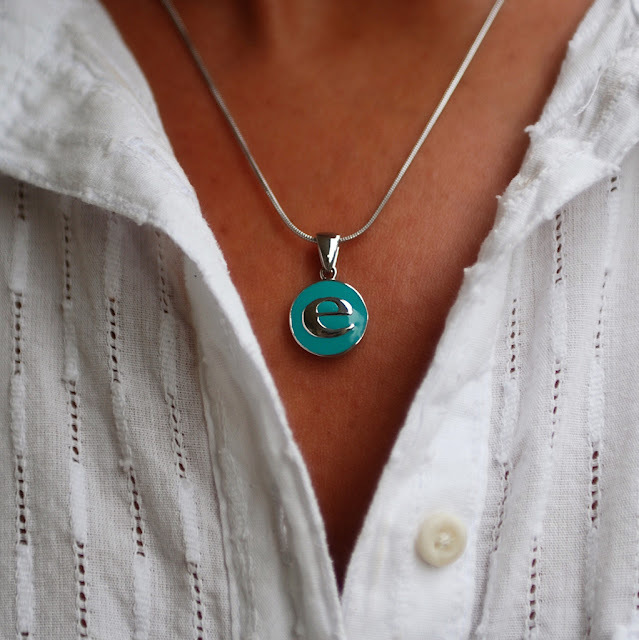 Letters A-Z are centered on the pendant. Available in five colors and each pendant comes on an 18" stainless steel beaded ball chain. The Established pendant is a custom engraved horizontal stainless steel bar on a 19" ball chain. Available in gold and silver with your Last name and Established year. The last name is engraved in all caps. The Signature bar is a custom name pendant engraved in a signature font and displayed on a 19" beaded ball chain.